Miranda Hayes’ life was changed the day she faced down infamous gunslinger Jake Harkner ... and walked away with his heart. Their fates have been intertwined ever since. Hunted by the law, fleeing across a savage land, their desperate love flourished despite countless sorrows. Now, twenty-six years later, their family has finally found some measure of peace ... balanced on the knife’s edge of danger. He always knew there’d be the devil to pay. He just never realized he might not be the one to bear the ultimate price. USA Today bestseller and award-winning novelist Rosanne Bittner is known as the “Queen of Western Historical Romance” for her thrilling love stories and historical authenticity. Her epic romances span the West -- and are often based on Rosanne’s personal visits to each setting. She lives in Coloma, Michigan, with her husband and two sons. 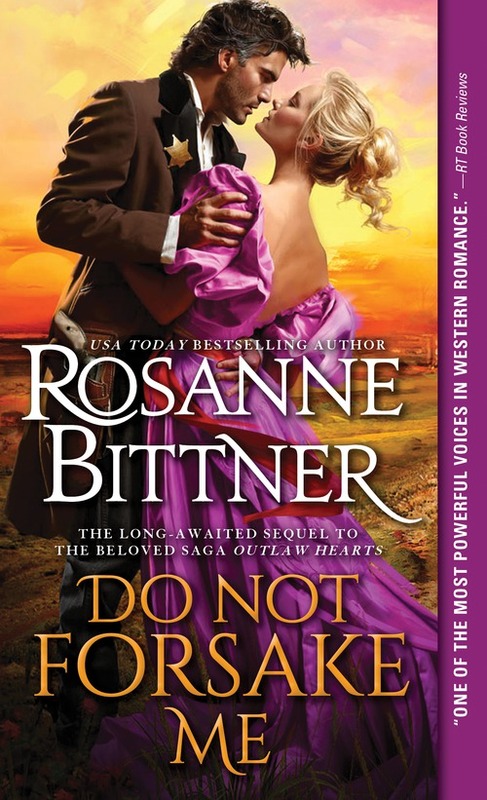 This July marks the release of Do Not Forsake Me, Rosanne Bittner’s long-awaited sequel to her beloved title Outlaw Hearts. To celebrate, we’re pleased to welcome father and son Jake and Lloyd Harkner, who have agreed to sit down with us today to answer a view questions about their relationship and the impact it has on this latest release. JAKE: Knowing that bearing my name can mean constant problems for my children. In this excerpt Jake has been gravely wounded and Randy has been through the hell of thinking she was losing him. She is talking with a reporter who wants to write about Jake. “Ma’am, if I may ask ... how do you do it?” Jeff asks. Randy glanced at Jake’s guns lying on the table. “No one understands my husband the way I do, Jeff. No one. I know every detail about his life, including when he was a little boy. I know how he thinks and what his needs are. I know how he suffers silently on the inside. That’s how I do it.” She wiped at her eyes. 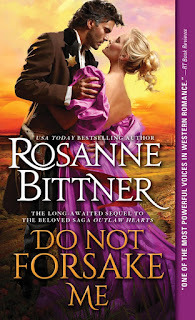 To celebrate the release of Do Not Forsake Me, Rosanne Bittner is giving away 5 copies of Outlaw Hearts, the first book in her Outlaw Hearts series.